Prestley Snipes: How To Make $250,000+ Per Year Selling YOUR Music!!! How To Make $250,000+ Per Year Selling YOUR Music!!! 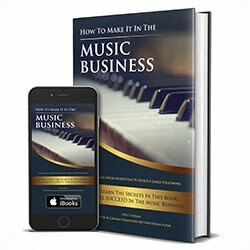 I've generated over a quarter million per year, year after year, selling my music online. In my last video, I speak about how much an independent artist or label can make by selling physical products such as CDs, vinyl, t-shirts and concert tickets. In this video, I speak about the opportunity for independent artists and labels to generates hundreds of thousands of dollars every year by selling digital downloads and streams. I show proof with invoices of some of the revenue that I have personally made by selling my music in digital music stores, using digital music distributors, such as Tunecore & Songcast. I'm a car fanatic and selling my music online has allowed me to purchase all of the vehicles that I've wanted over the years. All of my cars were paid for in full with cash money that I made from selling digital downloads and streams! I’ve also been able to use my music revenue to start new businesses and invest in upcoming talent. Check out some of my 100% REAL results that I've personally had, by selling my music digitally, online, before I made it big with a #1 hit record, which went Platinum.